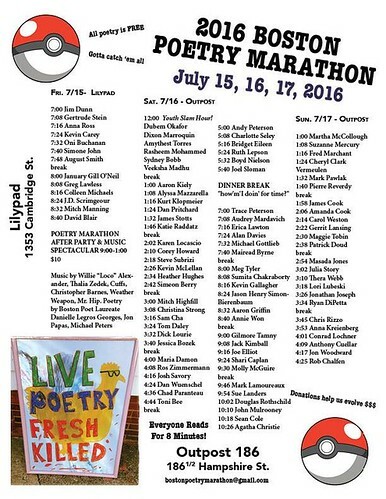 This year's 2016 Boston Poetry Marathon was this past weekend, July 15-17. It is one of my favorite times of the summer! Click the link to view the Flickr album. Enjoy!